This guide provides you with information on the latest Windows updates and Service Packs, including where to download them and how to install them. Microsoft released service packs traditionally for its operating systems, but switched to the new feature upgrade system with the release of Windows 8. Service Packs are only available for Windows 7 and earlier operating systems on the client side, while Feature upgrades for Windows 8 and newer versions of Windows including Windows 10. Windows 10 support may be extended beyond the dates currently provided. Generally speaking, there won't be any new major updates for any version of Windows but Windows 10. Microsoft won't release Windows 8.2 for instance, and it won't release Service Packs anymore either. The company plans to release two feature updates for Windows 10 per year. The following table lists Windows client and server operating systems, and the most recent Service Pack or Feature upgrades for each. Download links may point to the Microsoft Update Catalog for standalone downloads, to the Microsoft Download site, or tools that help you download these updates. 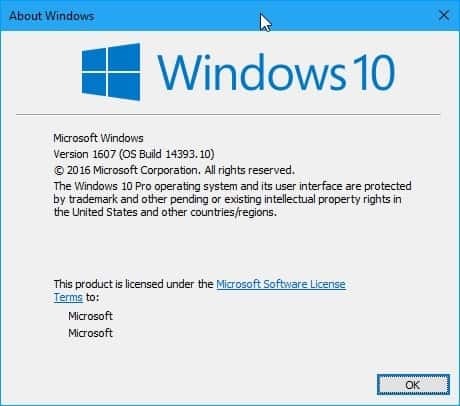 Please note that you may use Windows Update as well to download the latest updates, service packs and feature upgrades for the version of Windows that is installed on the computer. Service Pack updates are cumulative usually. This means that you only need to install the latest available Service Pack and not previously released ones. Exception: Windows Vista requires SP1 before you can install SP2. Windows XP requires SP1a or SP2 before you can install SP3. There is no Windows XP Pro 64-bit Service Pack 3. There is no 32-bit version of Windows Server 2008 R2. The Convenience Rollup update for Windows 7 and Windows Server 2008 R2 requires the April 2015 servicing stack update. Windows 10 feature upgrades are cumulative as well. You only need to install the latest to install all available feature upgrades. Check out our Windows Updates guide for additional information on updates for Windows. Wasn’t Windows 10 supposed to be the final destination (har har) for Windows? Ah well, it wouldn’t surprise me if in 2020 or so M$ will warn Windows 10 users that thay’re running an archaic and insecure OS and how much better Window 11 is. + IF their claims are correct, LTSB 1607 should have support at least until July 2026..
Isn’t the anniversary update build 1607? Eight people in the world control half the world’s money? I did read that correctly? Bill Gates is one of the eight. Just a thought that is mind-boggling–like Czarist Russia and Marx, Lenin and Engles and the reason for the Revolution. 6. Check out our Windows Updates guide for additional information on updates for Windows. Soo, WTH are we supposed to do (dang it, hehe)?!?? I have: 1) installed (all) prerequisites (successfully!) for teh Internet Exploder 11 to run (and it does, all within Oracle’s VM VirtualBox, current version 5.1.14!) and 2) “downloaded the following patches from the Microsoft Update Catalog first”, as per https://www.ghacks.net/2016/11/02/checking-for-updates-slow-on-windows-7-here-is-the-fix/ and 3) now I do NOT have a CLUE whether the two Micro$oft Catalog files are cumulative, or not (makes no sense, that they would be, as they are 500 MB vs. 150 MB.